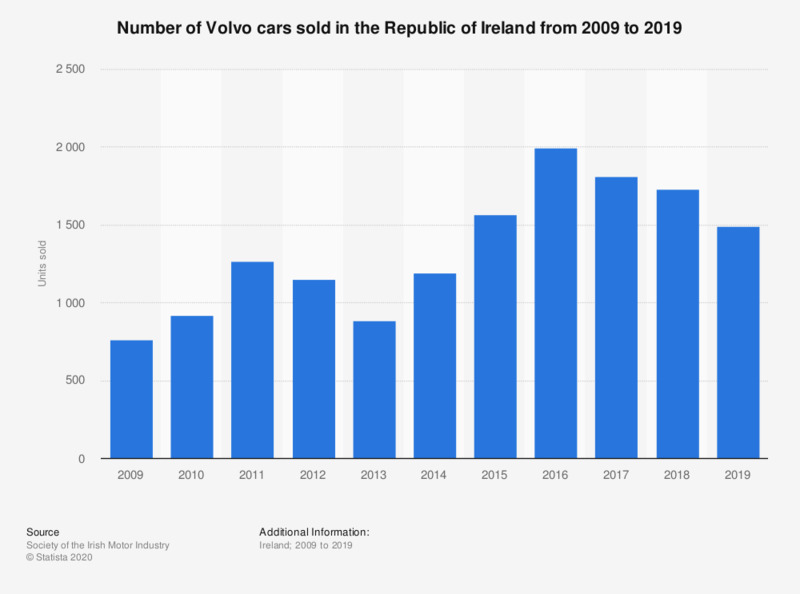 This statistic shows the number of cars sold by Volvo in the Republic of Ireland between 2009 and 2018. Irish sales of Volvo cars peaked at approximately two thousand units sold in 2016. In 2018, there were 1,730 units of Volvo cars sold in Ireland.